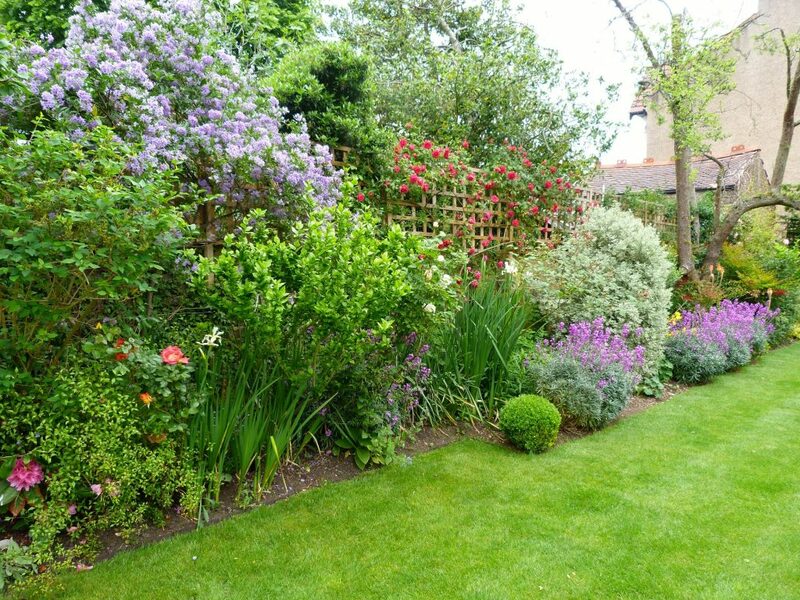 The garden was designed to bring the outside in and provide good views from the house all through the year. 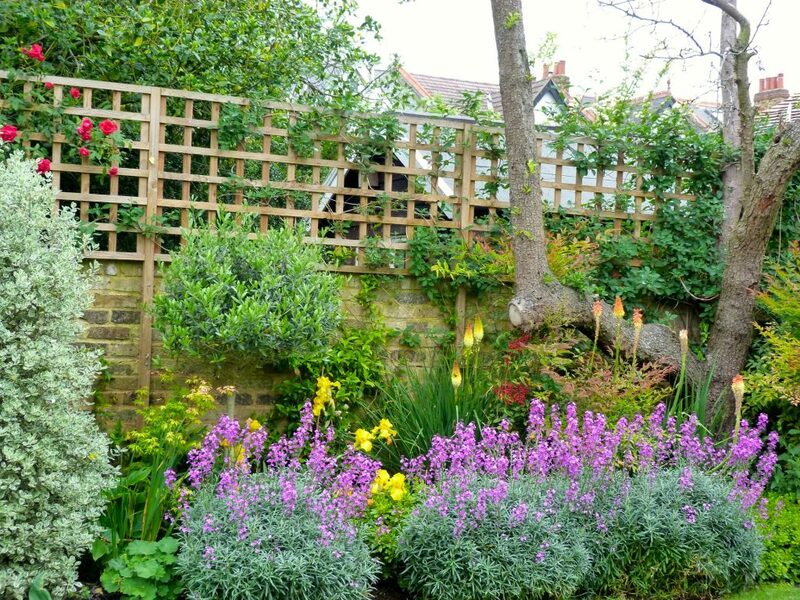 The walls were topped with trellis and a row of pleached Hornbeam trees were planted at the end of the garden to screen the neighbouring houses. 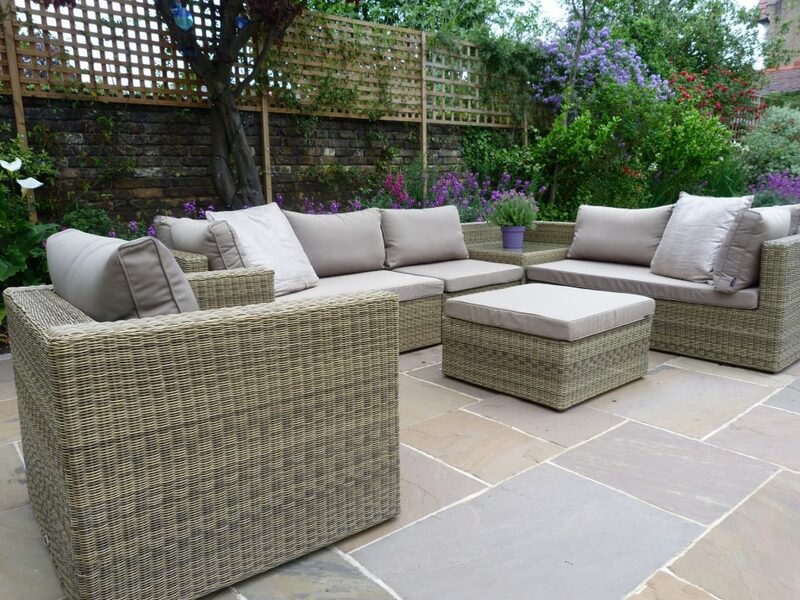 The sandstone patio blends with the architecture and makes a flexible space for entertaining and relaxing. 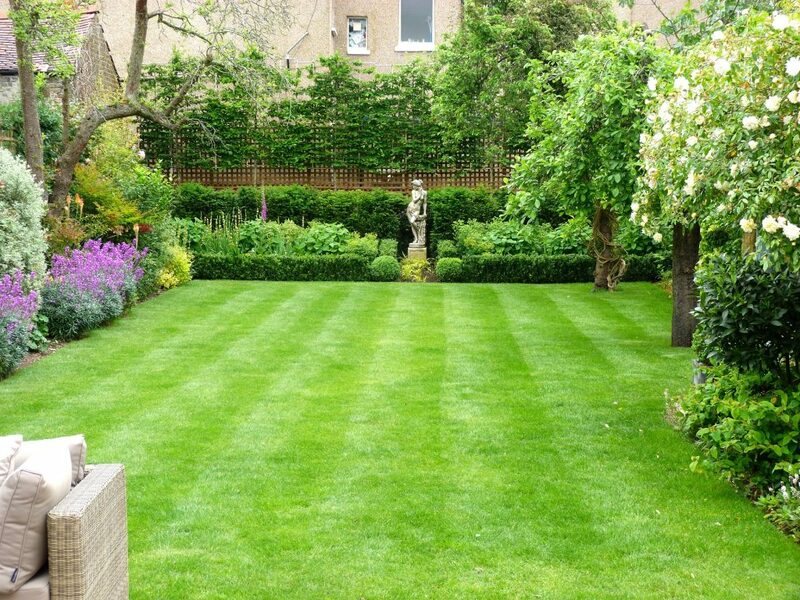 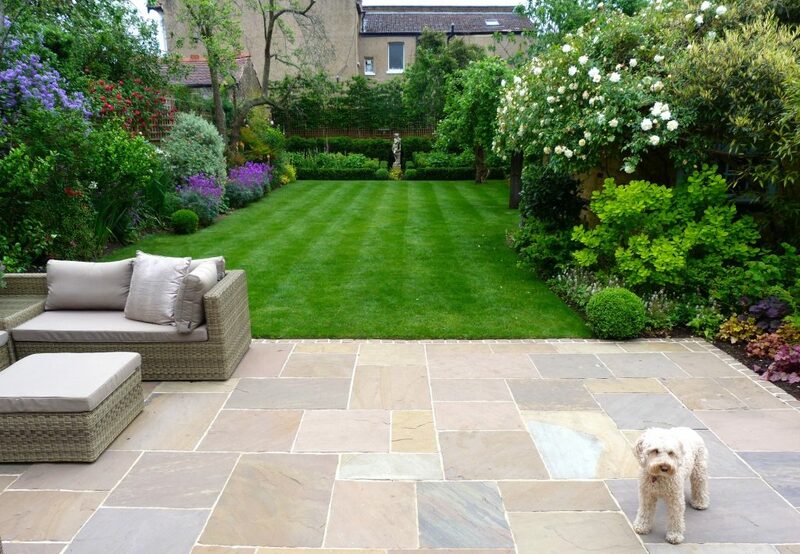 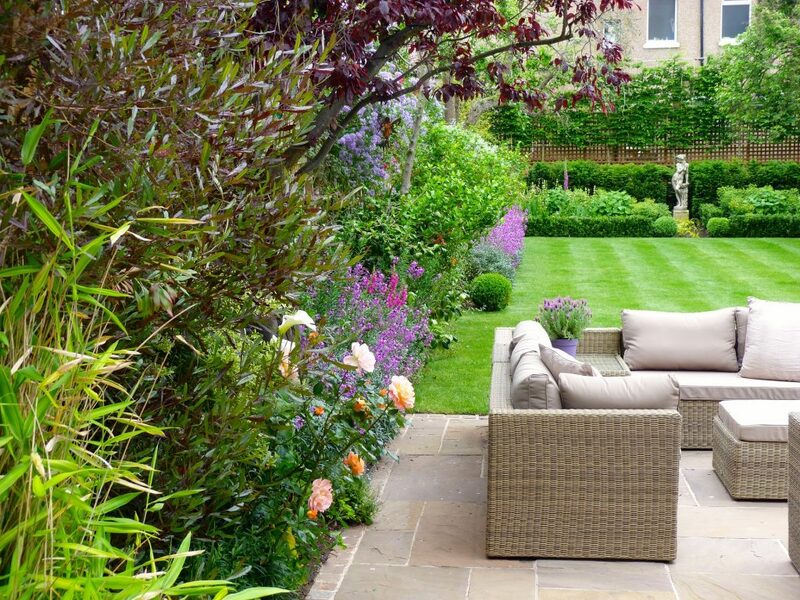 A statue and deep planting beds at the end of the garden draw the eye along the new lawn. 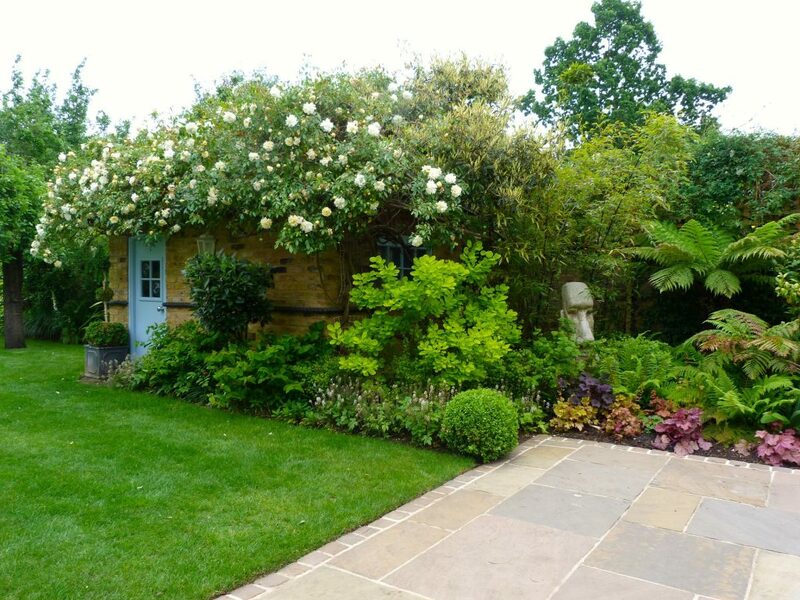 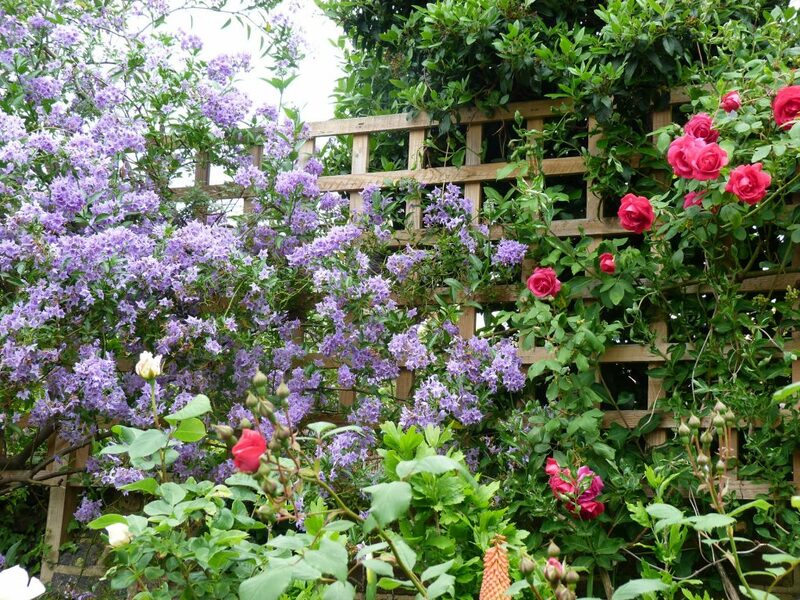 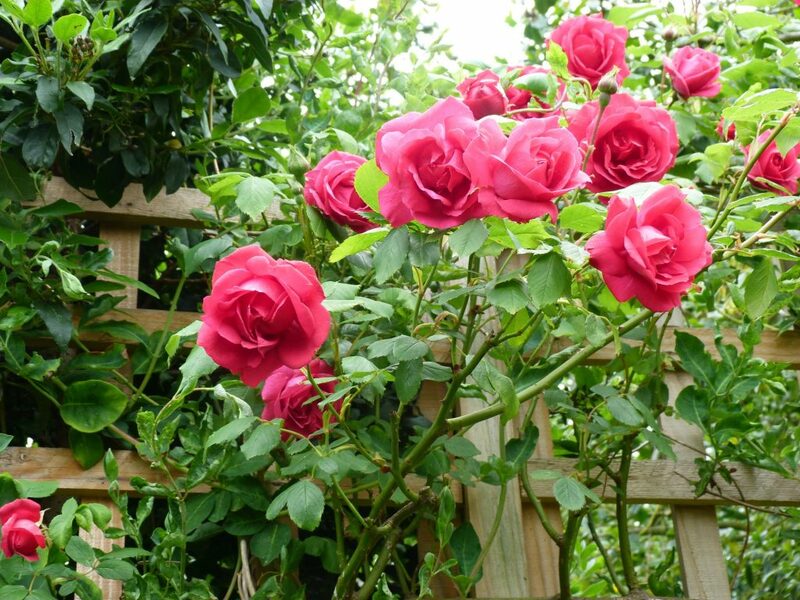 The shed and trellis are hidden by exuberant roses and clematis which complete the period feel to this traditional English country garden. 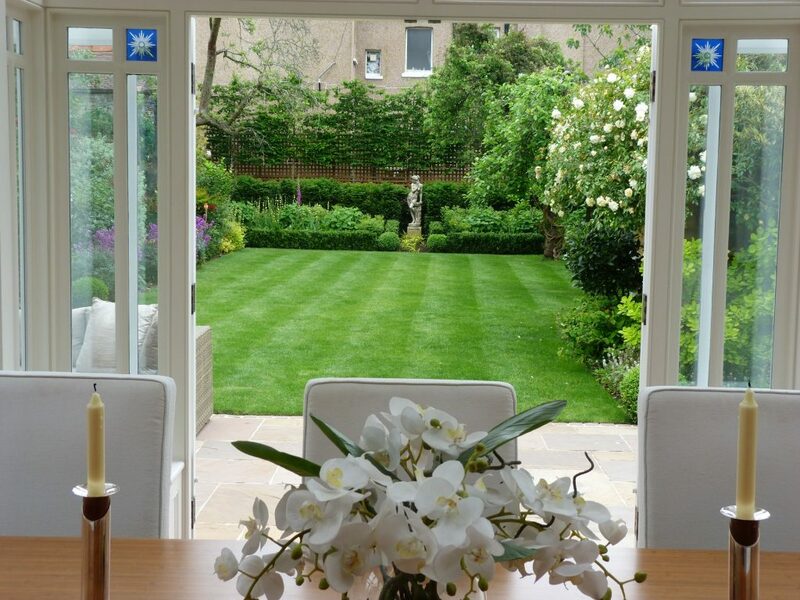 Garden lighting adds an extra dimension to extend the garden’s use well into the evening.